Before we buy raw materials,we will evaluate the supplier ability and reliance and vendor surveillance and past time credit. Then first we have IQC(incoming raw materials control),when we buy raw materials,we will test raw materials at first by spectrometer in the lab.Second we will check raw materials size and thickness tolerance ,must within the allowance of drawing,third we will check the surface of raw materials,if have some scar or scratch. Second step is IPQC(In-putting quality control),we have first article inspection before mass production and roving inspection,and each tollgate we need the worker check and sign for it to guarantee the article is correct to go to next step. 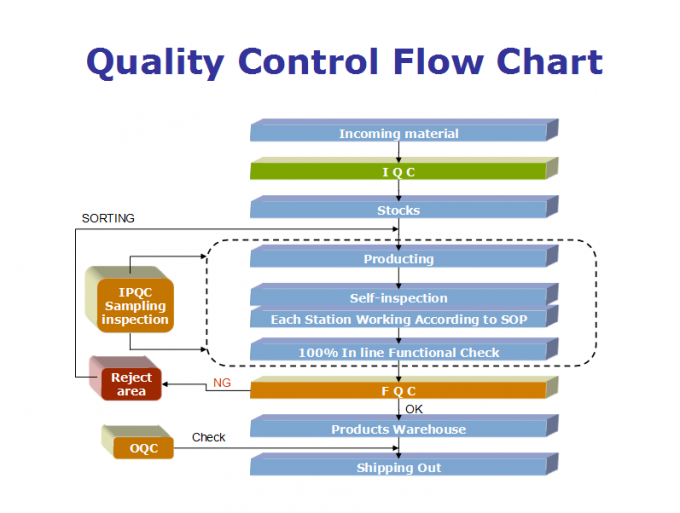 Third step is OQC(Outgoing quality control),during this step,we will spot check several item to check if the quality is stable and within control. For big size part(such as side plate and pontoon,we check one by one both surface and size and welding(For welding parts,we will check according to drawing the length of welding line and height and width of welding line),for small punching parts,we will spot check,and by the while ,we will check the quantity also to guarantee no shortage for hmt.And Some surface have bur,we will need process by deburring . 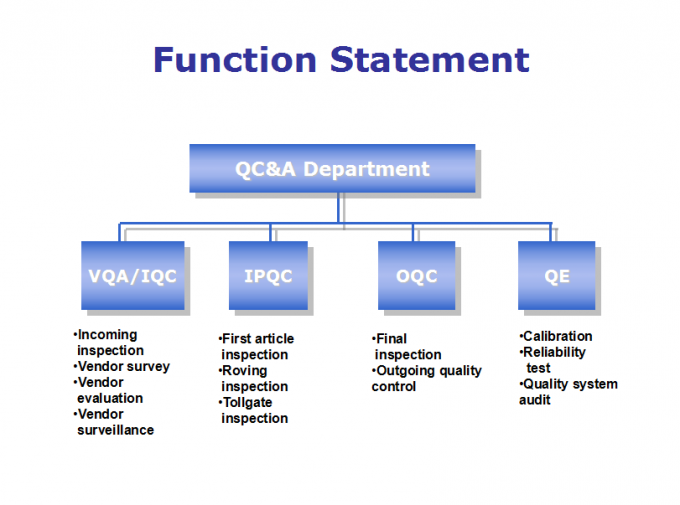 The Forth step is QE (Quality engineer),QE will do analysis and audit to the quality control system if it is effective and feasible. 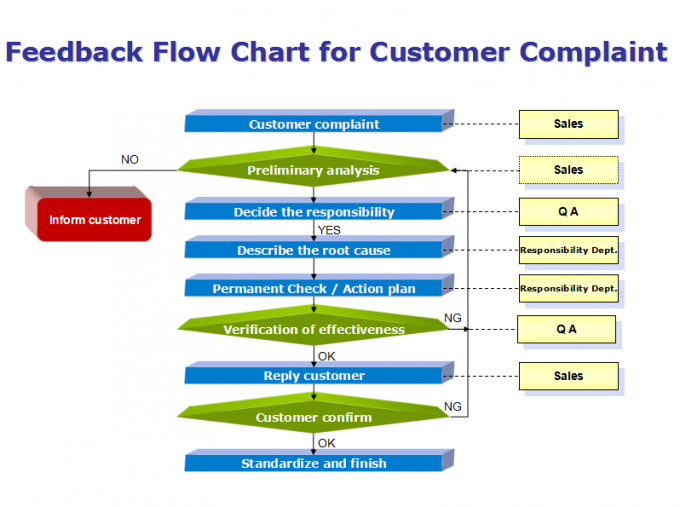 This flow chart show us the flow how the article produce out from raw s to final product. Last step is loading quality control. We will assess the safety of loading and packing way before loading.Such as how to pack the goods,what kind package to use and the how is the packing load-bearing,and we will design different size wooden crate for different products ,such as shoe plate.And for easy getting hurt products,we will use such as a sponge attached to the interior of the container to ensure that products are not getting hurt.Such as pontoon.And we will instruct the worker to handle the products appropriately ,and workers when in operation, need to be careful and orderly loading.